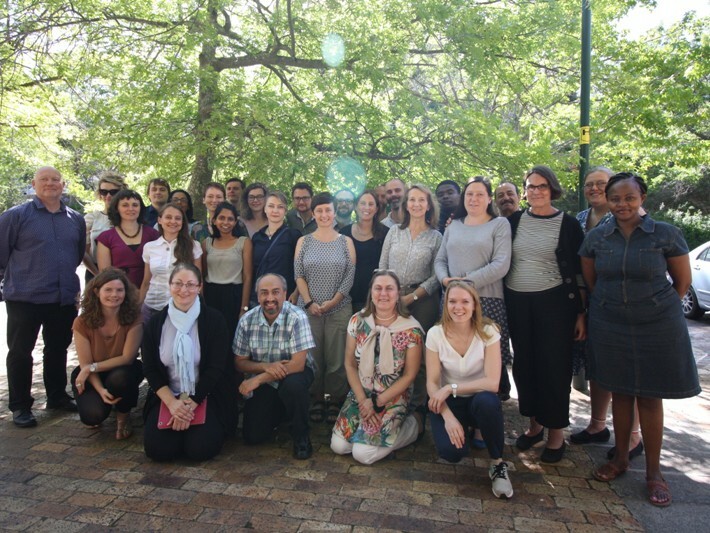 After nearly three years of fruitful cooperation, the MeCoDEM consortium came together for its final meeting in Cape Town, South Africa, on 11-15 Dec 2016. It was time to reflect as well as look forward! MeCoDEM started out with an ambitious research agenda in February 2014. Since then numerous newspaper articles and documents have been analysed and more than 250 interviews with journalists, activists, governance actors and media development experts have been conducted. 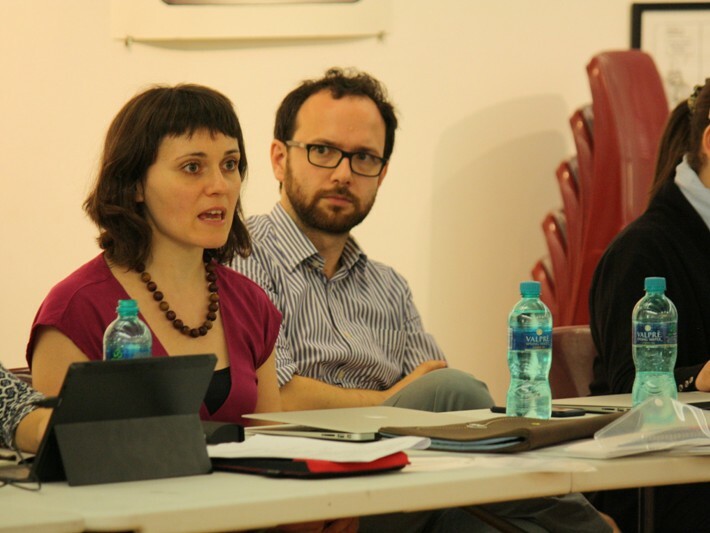 The richness of the acquired data pool on conflict cases in Egypt, Kenya, Serbia and South Africa and its complex layers of understanding were apparent throughout MeCoDEM’s final meeting. It was evident in internal discussions about the forthcoming project monograph. 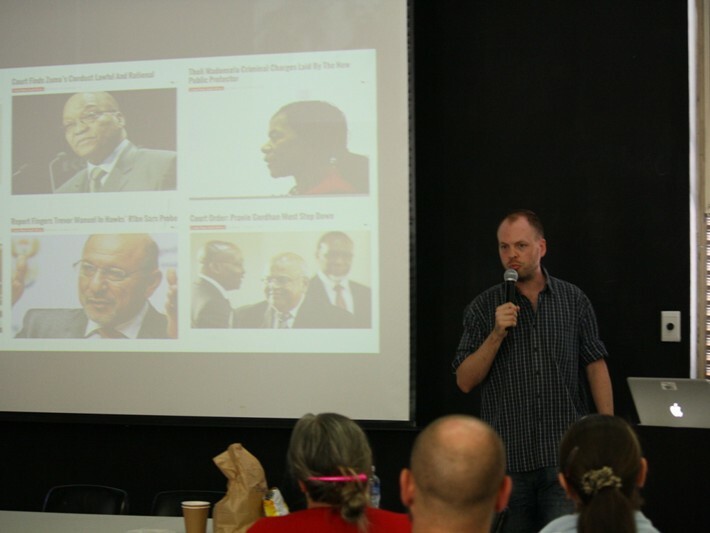 And it became visible in powerful images of democratisation demands and struggles during a public research showcase (see programme on the right, click to enlarge) bringing together MeCoDEM researchers and invited South African scholars and activists as well as renowned South African editorial cartoonist Brandan Reynolds. The book with the tentative title ‘Media and Communication in Transitional Societies: Conflicts, Concepts, Cases’ will showcase some of the key findings from the project, covering three main areas of the MeCoDEM research programme: the mediation of democratisation conflicts, involving journalism in conflict and the dynamics of digital networks; the mobilisation of dissent, in particular the communication practices of civil society groups and political parties; and the communication strategies of power holders during conflict and its consequences for institution building and accountability. Expected publication date of the volume is the first half of 2018. 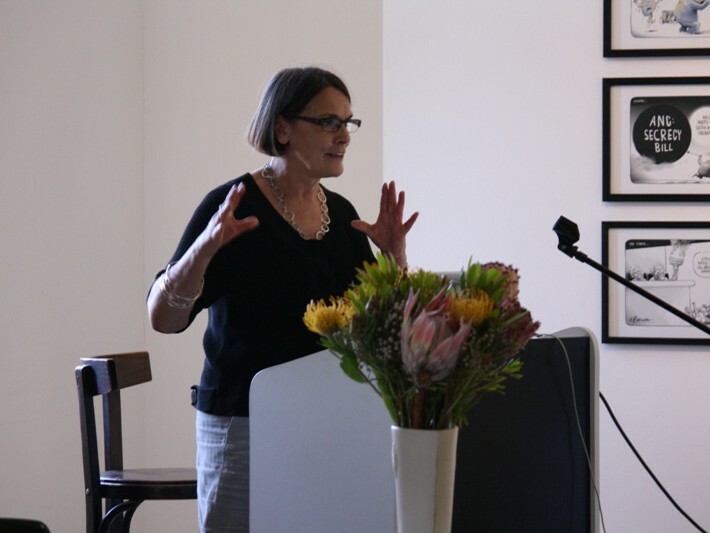 Book launch of Jane Duncan's "Protest Nation"
How do public authorities in Egypt, Kenya, Serbia and South Africa communicate during periods of conflict? And how does this impact on the escalation or resolution of the conflict? These questions will be central to the forthcoming fieldwork activity of EU-funded project “Media, Conflict and Democratisation” (MeCoDEM). 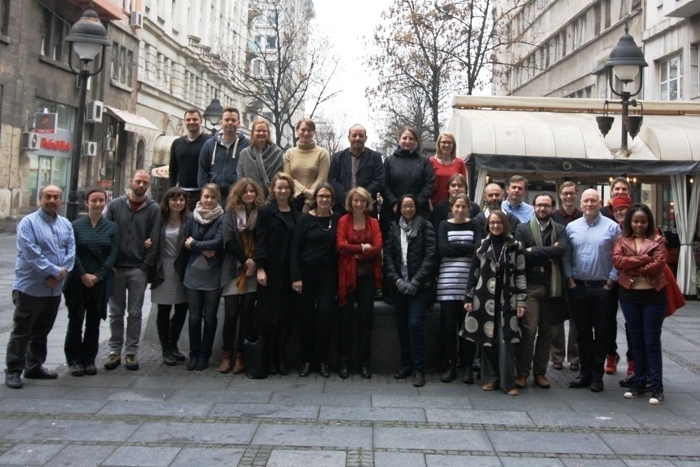 The project’s final research phase was kicked off at a fieldwork planning meeting in Belgrade, Serbia, on 4-6 December 2015. 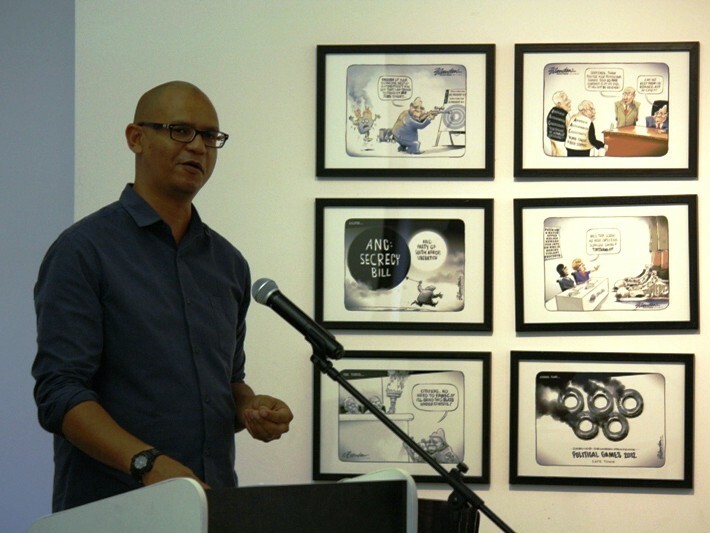 MeCoDEM’s research focus shifts to political communication in its third and last research phase. During the next six months MeCoDEM country teams will interview members of parliament, ministers and tribal chiefs as well as analyse of speeches and laws. The acquired insights will inform the project’s findings on media representation, journalistic ethics and political activism. 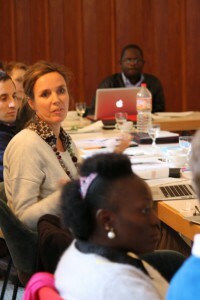 Taken together they enable MeCoDEM to advance the understanding of communication dynamics in democratisation conflicts. Prior to the fieldwo rk planning meeting the project members were welcomed to a joint workshop by the Faculty of Political Sciences (FPN) at the University of Belgrade. Here distinguished local colleagues enriched discussions on MeCoDEM’s preliminary results with their perspectives on Serbian conflict cases. Snježana Milivojević addressed the role of recycled conflict frames in remembering events from live coverage of conflicts. Miroljub Radojković talked about exploitation of the public interest in conflicts about media legislation. 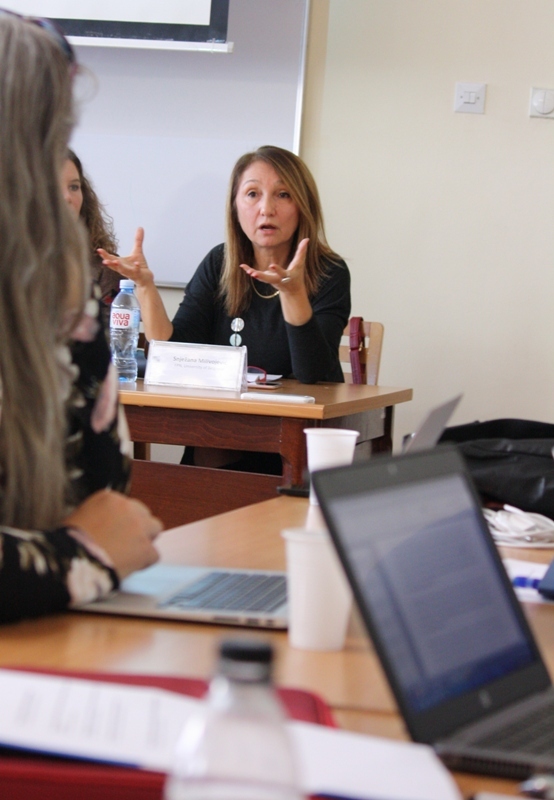 Ana Milojević offered an analysis of successes and failures of media democratisation in Serbia. 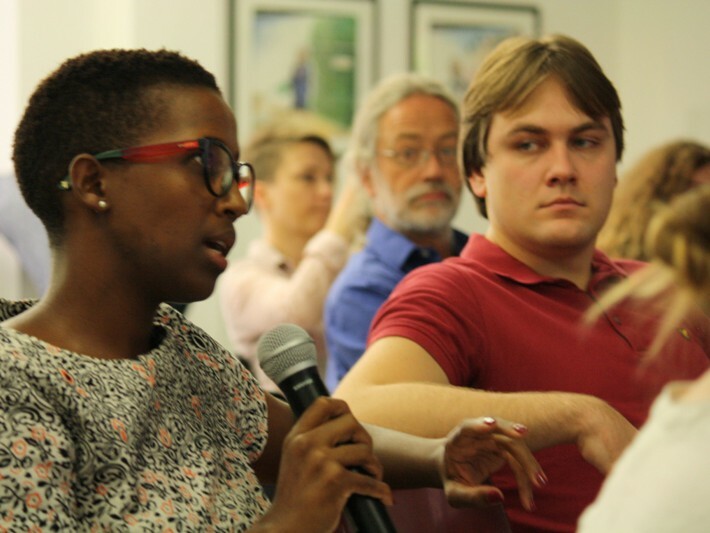 How do political activists and civil society groups in Egypt, Kenya, Serbia and South Africa mobilise support? What do they do to make their protest visible to the public and the media? The ways activists communicate during conflicts will be central to the forthcoming fieldwork activity of EU-funded project “Media, Conflict and Democratisation” (MeCoDEM). 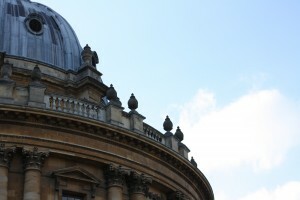 The new research phase kicked off at MeCoDEM’s latest fieldwork planning meeting in Oxford, United Kingdom, on 17-20 June 2015. Rainbow flags alongside he avily armed police officers in the streets of Belgrade, pigs and spilled pig’s blood at the entrance to the Kenyan parliament, Twitter hashtags #Egypt and #jan25 as real-time information sources about the protests at Cairo’s Tharir square – activists’ communications can take various forms. 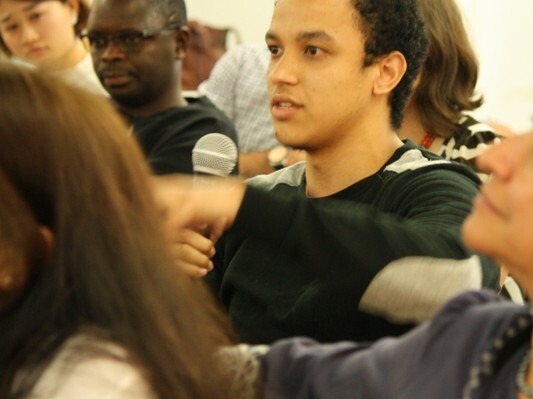 In the next six months MeCoDEM country teams will examine communication practices and strategies adopted by political activists in Egypt, Kenya, Serbia and South Africa. Starting in July 2015, MeCoDEM country teams will conduct interviews and content analyses to find out how civil society tries to shape public debate and policy outcomes. 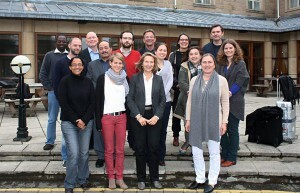 Guests from the European Commission and MeCoDEM Advisory Board contributed to discussions at the recent fieldwork planning meeting in Oxford. 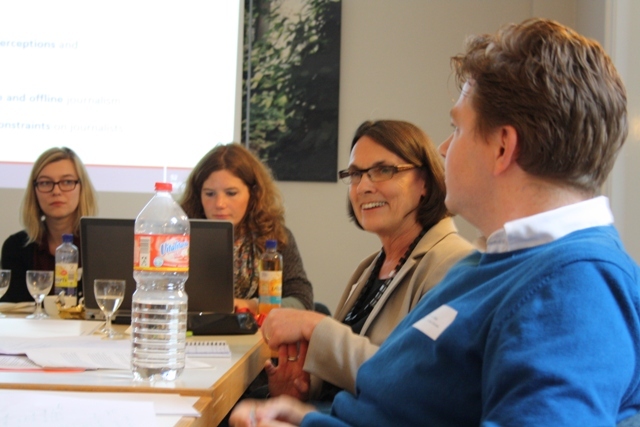 MeCoDEM’s Project Officer at the European Commission Anne Nielsen is an experienced researcher and policy analyst. 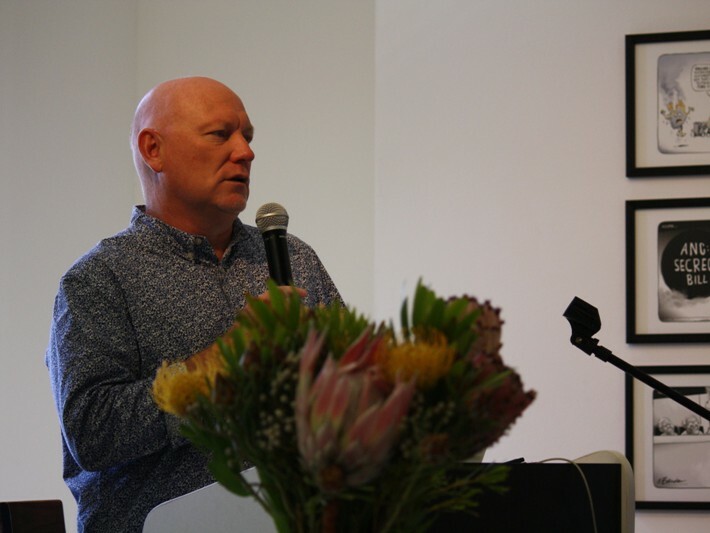 John Downey is an expert in the field of comparative media at Loughborough University (UK). Co-founder and Director of Albany Associates Simon Haselock is a pioneer in media intervention in countries emerging from violent conflict. Helmut Osang is head of journalism training at DW Akademie and co-founder of the German Forum Media and Development FoME. London School of Economics Professor Terhi Rantanen is a specialist in global media and communications. How can we best share knowledge of effective communication interventions for conflict prevention and conflict management? This question was central to the latest meeting of the EU-funded project “Media, Conflict and Democratisation” (MeCoDEM) held in Stockholm, Sweden, on 15-18 February 2015. Project members and external experts engaged in discussions to ensure MeCoDEM’s research results are transformed into valuable input for activists, journalists, policy makers, and media development implementers. 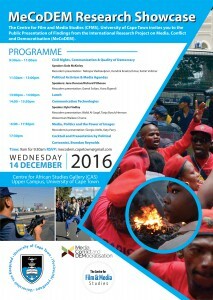 “Our research is a systematic attempt to shed light on the complexities of communication during conflict situations. 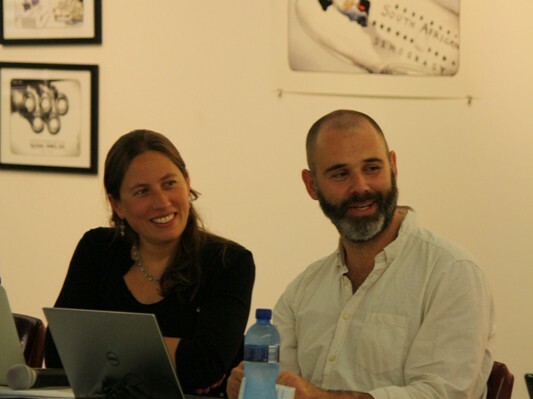 We want to reach out to conflict stakeholders in Egypt, Kenya, Serbia and South Africa to share the knowledge we acquire,” explains Katrin Voltmer, MeCoDEM’s coordinator. 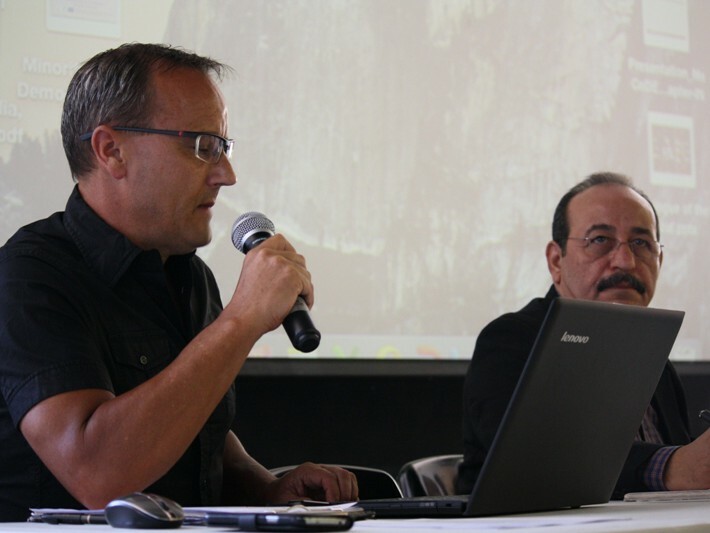 MeCoDEM will arrange several events throughout its project term to build bridges between research and practice. 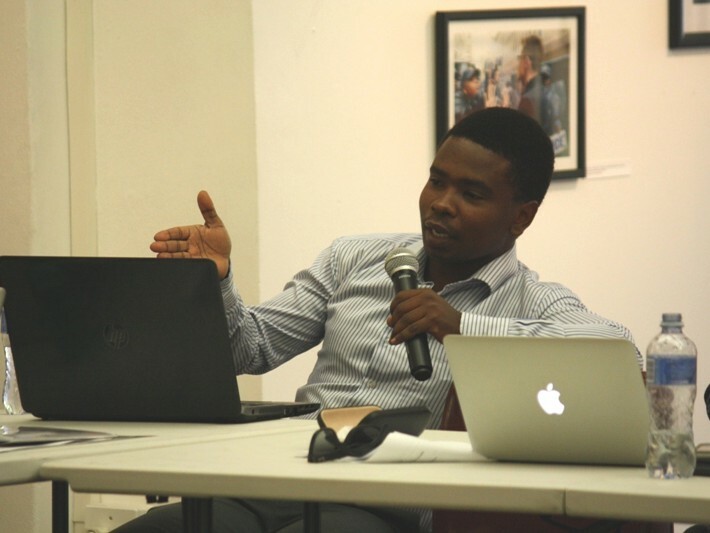 In dialogue with activists, journalists, policy makers, and media development professionals the project members will discuss their findings on communication dynamics between conflict parties and the use of information and communications technologies (ICTs) for conflict resolution. 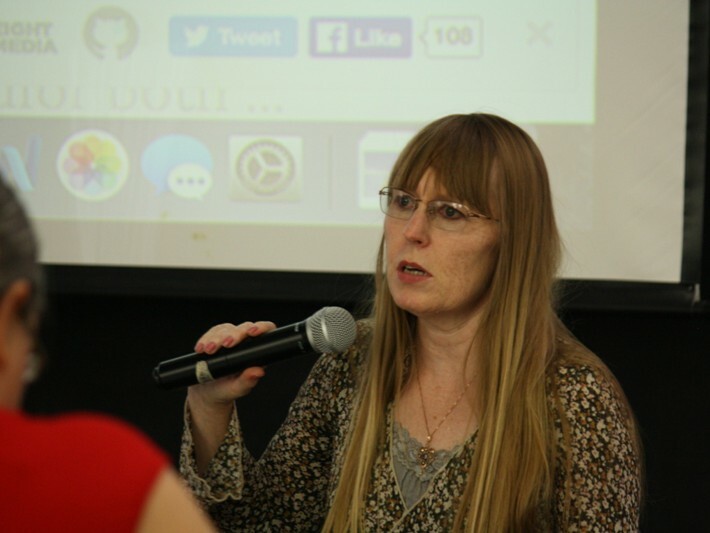 Heading these outreach activities are Barbara Thomass (Ruhr University Bochum), leader of work package “Impact and Dissemination”, and Christian Christiansen (Stockholm University), leader of work package “ICTs and Conflict”. 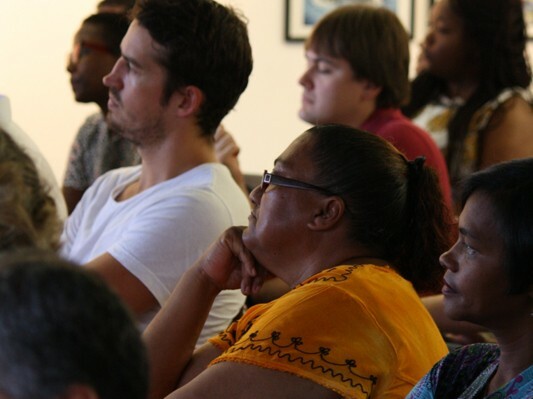 The outreach dialogues are scheduled for 2016. 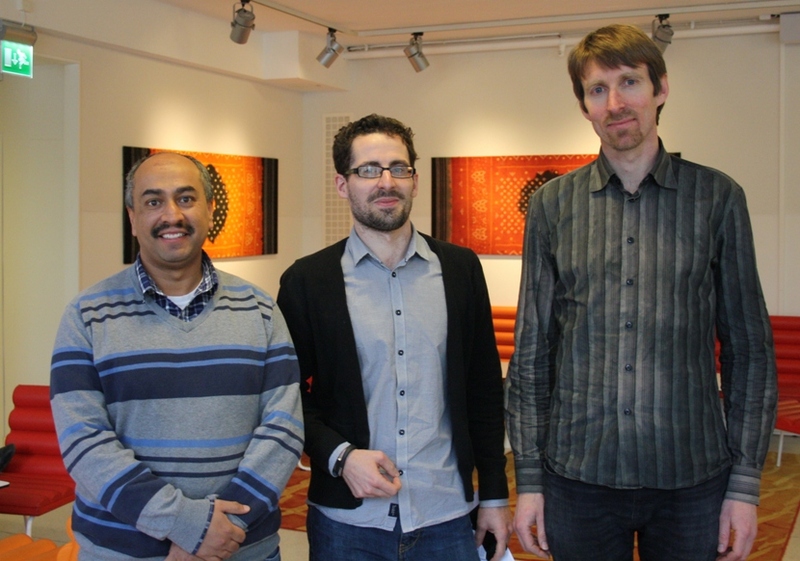 Three external experts – Walid Al-Saqaf, Marcin de Kaminski, and Kjetil Selvik – joi ned the MeCoDEM scholars in Stockholm to discuss the needs and interests of outreach addressees. Al-Saqaf is a media and communication researcher at Örebro University and a free speech activist. De Kaminski is a policy specialist on freedom of expression and ICT at the Swedish International Development Cooporation Agency. 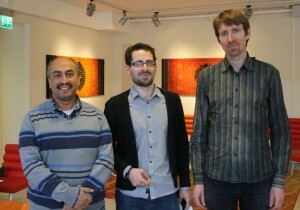 Selvik is an Associate Professor at University of Bergen specializing in comparative politics of the Middle East region. MeCoDEM has kicked off its research on journalism ethics and practices at a fieldwork planning meeting in Hamburg, Germany on 6-7 October 2014. 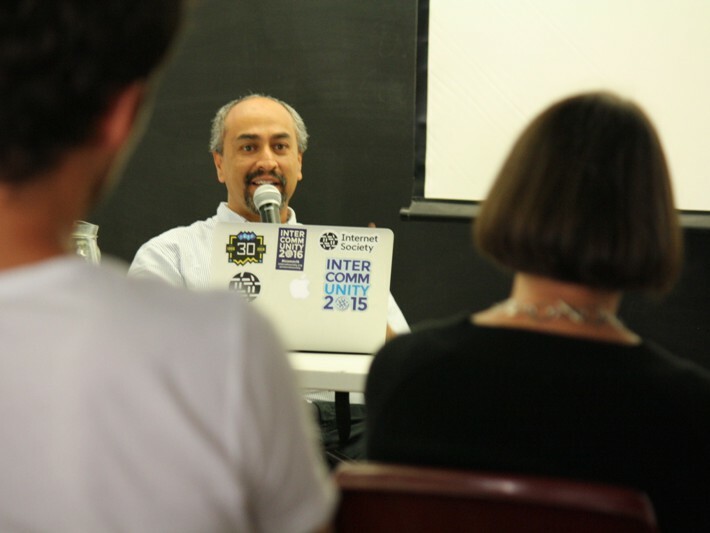 Interviews with 100 journalists from Egypt, Kenya, Serbia and South Africa are scheduled for the next six months. The MeCoDEM research team worked with external experts to finalise the research plan and methodological approach. 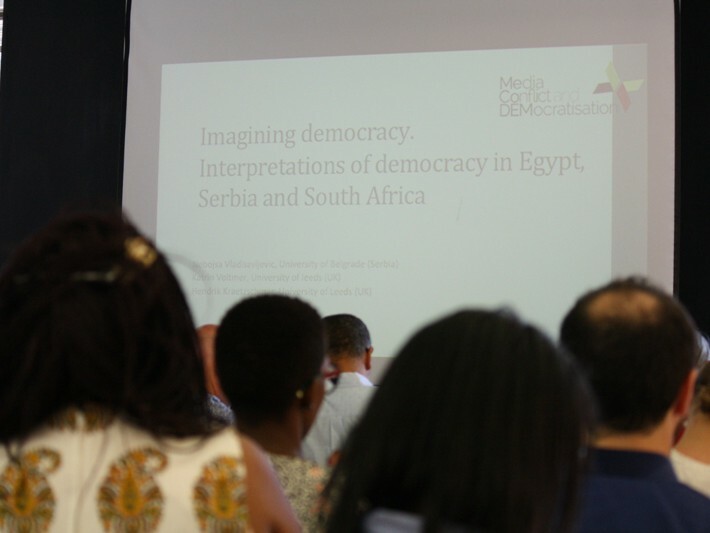 The working practices and conditions, role perceptions and ethical orientations of jo urnalists who covered democratisation conflicts in Egypt, Kenya, Serbia and South Africa will be central to MeCoDEM’s forthcoming fieldwork activity. Starting from November 2014, MeCoDEM’s country teams will use semi-structured interviews to investigate these areas. 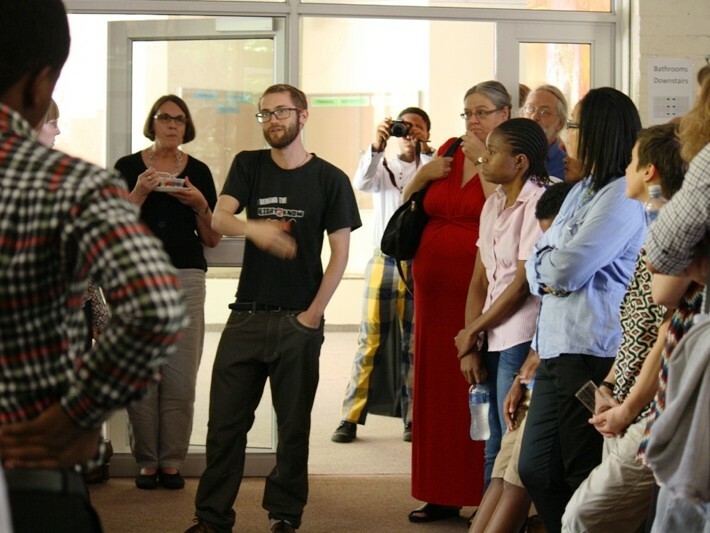 Research data will be analyzed by mid-2015 and used to inform a series of impact workshops for local stakeholders. 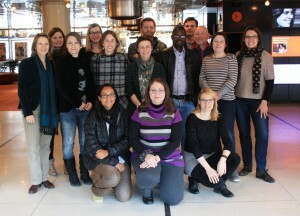 Distinguished gue sts contributed to discussions at MeCoDEM’s recent fieldwork planning meeting. 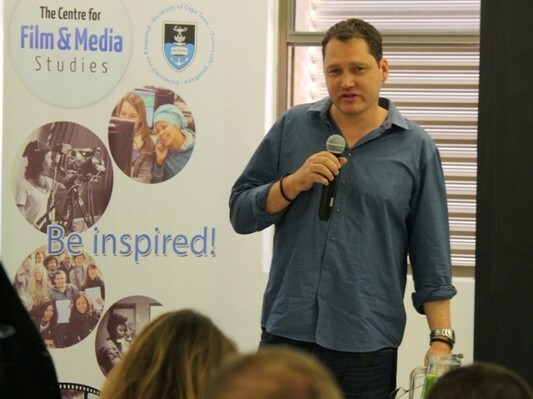 Dirk Asendorpf covers Africa topics for DIE ZEIT and ARD radio stations. He lived and worked in South Africa for three years. 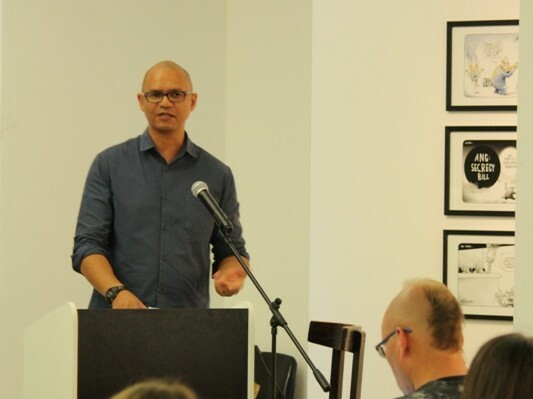 Arjen van Dalen is an expert in political journalism, journalistic role perceptions, and comparative methods from the University of Southern Denmark. 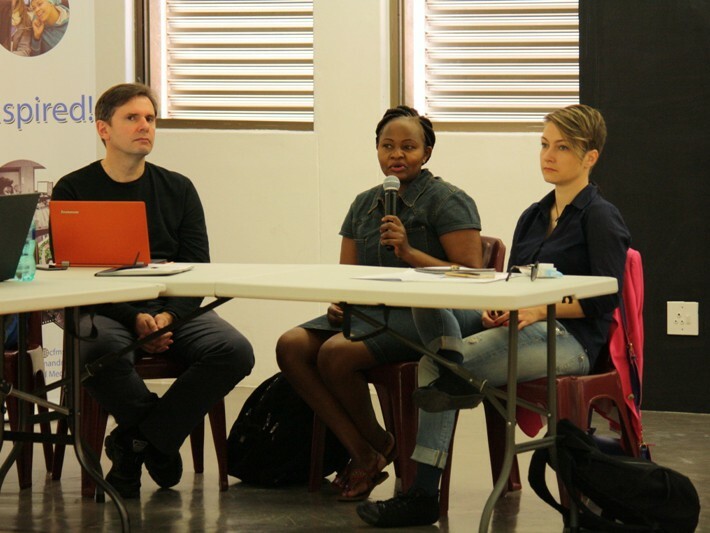 PhD candidates Bettina Haasen, Swenja Kopp, Mahmud Shameem and Ann-Mabel Sanyu specialize in international research. Their first-hand experience served as a valuable resource. 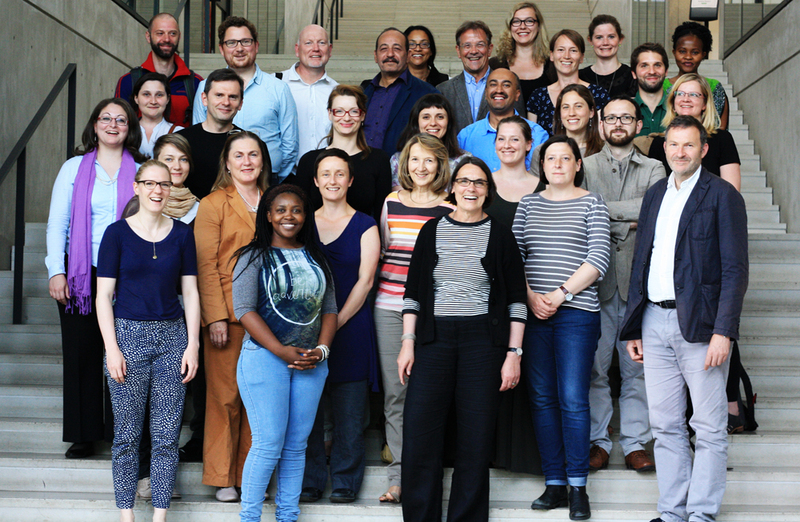 “Our aim is to produce results that make a difference to emerging democracies and so it is crucial that we tie up our research activities with what is happening on the ground from the very beginning,” added Katrin Voltmer, MeCoDEM’s coordinator. 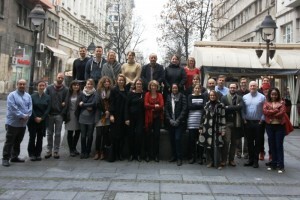 Two months after the launch of MeCoDEM all project partners came together for a kick-off meeting. 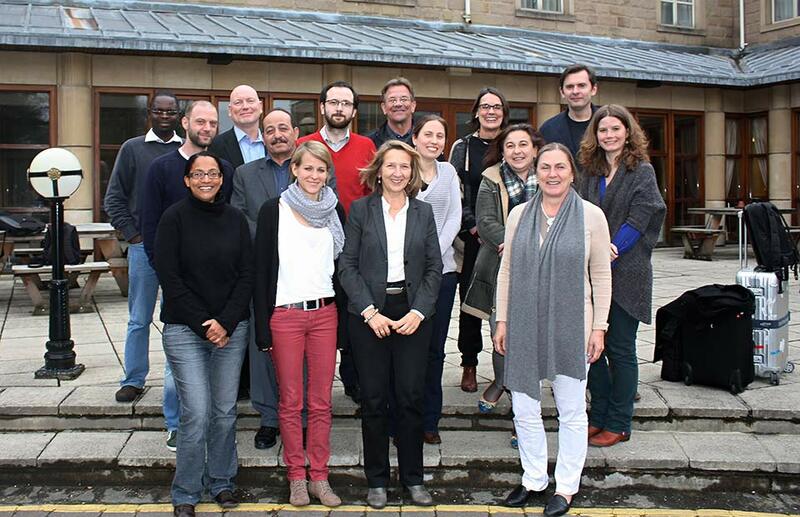 It took place 26-28 March, 2014 in Leeds (UK) and was the first time that all team members met in person. The meetin g, which was also the first official consortium meeting, was therefore of crucial importance both to team building and scientific discussion. 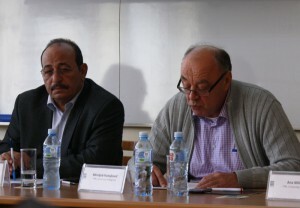 The main objectives of the three-day gathering were to discuss the conceptual framework of the project and the key features of the research design, to agree on the selection of case studies, to oordinate activities and identify shared interests, to plan dissemination initiatives, and toi nform about administrative issues related to the management of an EU-funded project within the Framework Seven scheme. The MeCoDEM project officially started on 1 February 2014 and will run over a period of three years until 31 January 2017. 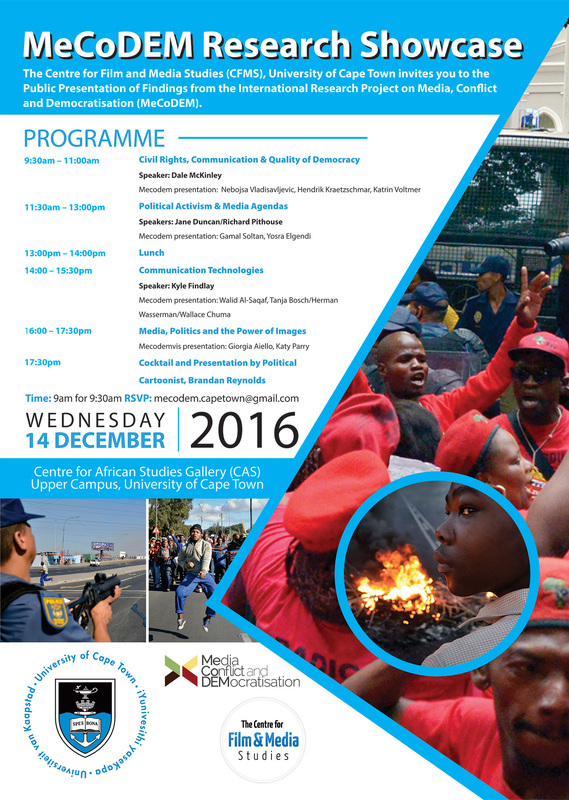 There will be two more consortium meetings in July 2015 and November 2016, which will take place in Cape Town and Oxford respectively.